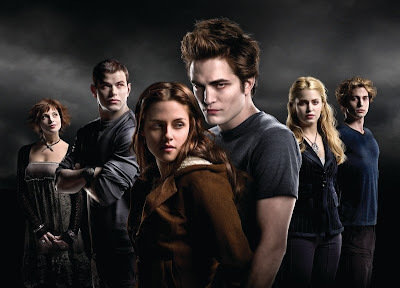 I just started reading the Twilight saga last Friday. I first heard them discussed backstage at Godspell and was unaware of the phenomenon that they have become. I am quite captivated by Edward and Bella's relationship. There were passages that made me stop and breathe a little heavy. Wow. And more wow. I literally sat there and stared at that picture for maybe 3-5 minutes. He is quite simply beautiful. And that doesn't even cover it. They are all ridiculously beautiful. Ahhhh! !